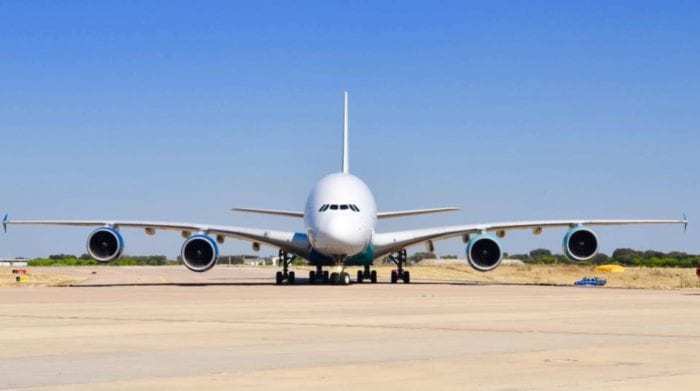 Air Senegal is operating Hi Fly‘s only Airbus A380 on a flight between Paris and Dakar today. According to the Paris Aeroport website, the flight will depart Paris’ Charles de Gaulle Airport (CDG) at 07:45 pm arriving at Dakar’s Blaise Diagne International Airport (DSS) at 11:35 pm. 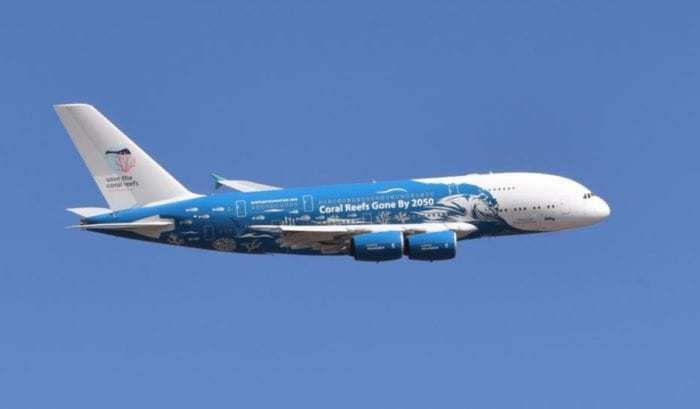 The Hi Fly Airbus A380 will fly from CDG to DSS today. Photo: Hi Fly. According to Aviation24.be, Air Senegal typically operates an Airbus A330-900 on Flight HC404 between Paris and Dakar. This aircraft, Air Senegal’s only Airbus A330-900 (9H-SZN), is operated by Hi Fly Malta. However, apparently the plane is experiencing technical difficulties and is currently located in Dakar, which has meant that the airline had to find a replacement for the route. This is exactly where one of Hi Fly’s other aircraft, its A380 (9H-MIP), comes into play. As reported by Simple Flying, the Hi Fly A380 is used as a wet-lease aircraft. This means that Hi Fly provides the aircraft as well as the crew, fuel, service, and insurance. Several airlines around the world have used it in the past. Apparently, now it is Air Senegal’s turn to wet-lease the aircraft. Before becoming Hi Fly’s A380, 9H-MIP was operated by Singapore Airlines. Photo: Hi Fly. As a matter of fact, the aircraft has already relocated from Beja Airport (BYJ) to Charles de Gaulle ready to start work on the route. According to data provided by Flightradar24, it touched down in Paris at 6:58 pm after a 1 hour and 53 minutes flight. Evidently, it is in position for a flight later on today. What can the passengers expect? Let’s take a look inside the aircraft to see what the passengers can expect. 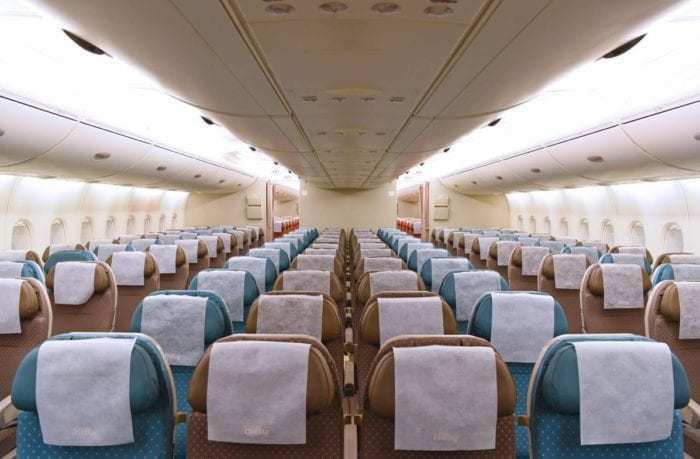 First of all, we have the Economy Class cabin, which features the typical 3-4-3 seating configuration. This is what the Economy Class looks like on Hi Fly’s A380. Photo: Hi Fly. 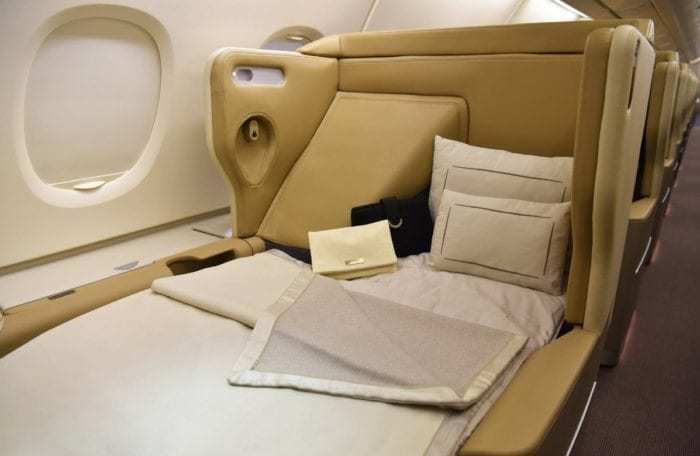 The business class offers comfortable seats that fold into beds. The business class seats of the Hi Fly A380 look rather comfortable. Photo: Hi Fly. Finally, we have the First Class Suites. These offer a mix of comfort and privacy. 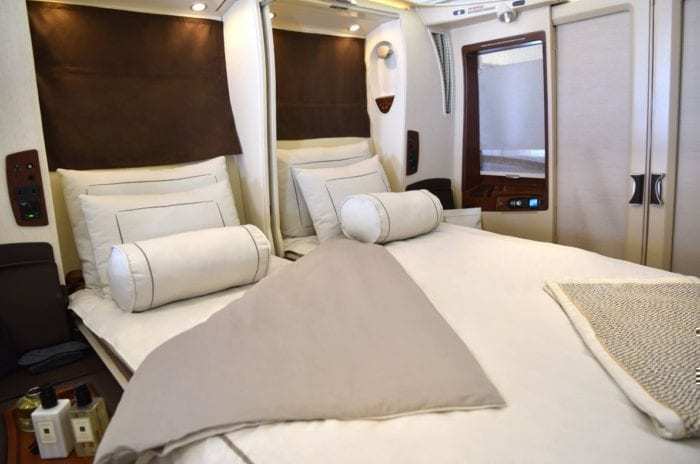 The aircraft features 12 First Class Suites. Photo: Hi Fly. At this time it is not clear if the aircraft will only operate this one flight for Air Senegal or if it will be used for additional flights. Most likely, this will depend on the status of the Airbus A330-900. We imagine that there is a chance that the aircraft will be used for additional flights if the Airbus A330 remains grounded. Some passengers will likely be pleasantly surprised to see that their flight is operated on an Airbus A380. Photo: Hi Fly. 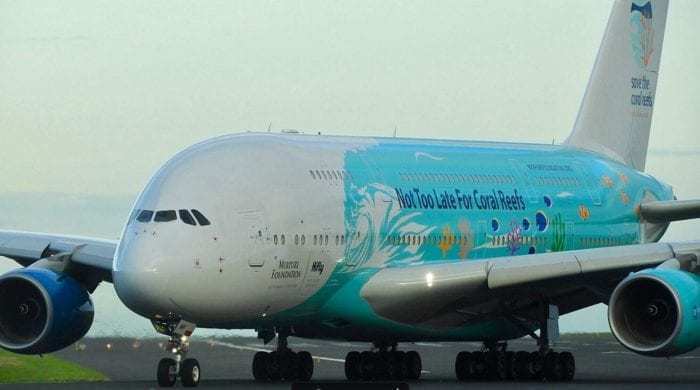 How would you feel if your flight was changed from an A330-900 to Hi Fly’s Airbus A380?